1568 The Dean of St. Paul’s Cathedral developed a method to bottle beer. 1794 James Lind R.I.P. Lind was a Scottish physician who recommended that fresh citrus fruit and lemon juice be included in the seamen’s diet to eliminate scurvy. The Dutch had been doing this for almost two hundred years. 1864 John Jacob Astor IV born. Great grandson of John Jacob Astor, who founded the family fortune. John Jacob IV built the Astoria section of what would become the Waldorf Astoria Hotel (1897) in New York city (this was on the site where the Empire State building would be built in 1929). He also built the Knickerbocker and the St. Regis hotels. He died on the Titanic. 1937 The first Krispy Kreme doughnut is sold in Salem, North Carolina. 1940 Paul Prudhomme was born in Louisiana. Chef and restaurateur, he owned his first restaurant at the age of 17, and in 1979 opened his world famous Cajun restaurant, K-Pauls. He has also written several best selling cookbooks. 1977 Frustrated by an unsuccessful attempt to obtain funding for a water project, Kinney, Minnesota ‘secedes’ from the United States and applies for foreign aid. In support, Duluth’s frozen pizza king Gino Palucci donates 10 cases of frozen pizza. 1977 A power blackout hit New York. Power was out for about 25 hours. There was widespread looting, unlike the calm of the 1965 blackout. Reblogged this on Miss Ayo Délé. 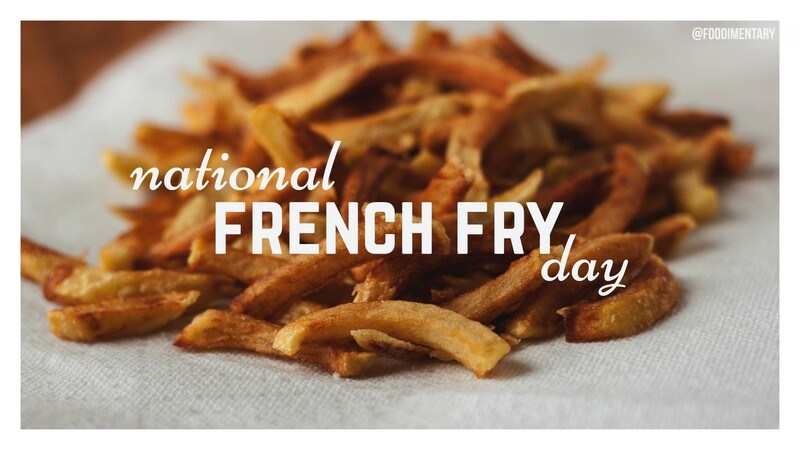 Ya can’t beat a great French fry! awesome – poutine, Canadians are vying for this to be our dish in the french fry world – any thoughts on that?